That’s a huge question! There are so many options out there, it can be mind-boggling sometimes. So, we’ve put together a summary here: we’ll talk about the main five channels of marketing, the pros and cons of each, time considerations, and, of course, how we can help. Do you know your customers? Or are they just “out there”? If it’s the latter, then take some time and get a clearer idea in your head of just exactly who will buy your product or service. What age bracket do they fall into? These are just the most basic questions. Clearly, the more you know about your customer, the easier it’ll be to choose the appropriate channel. For example, you’ll market differently to an older audience that connects online via Facebook than you would to a younger audience that spends their free online time on Instagram. If you really don’t know who your customers are, or you have an idea but have never spoken to them, some preliminary market research is a good idea. It may seem like you’re wasting time planning, but knowing exactly who you’re marketing to and where they are will help you make the most of your marketing dollars. We’ve found a great article on performing market research that can help you get started. Of course, we have our own specialists, too, and we’d be more than happy to help you find the right methods to find the right customers for your business. We’ll quickly walk you through SEO, online advertising, website design and development, videography, photography, social media, and print. And, yes, we can help you with all of them. This means designing your online marketing, including your website, online ads, etc., to work with search engines (e.g., Google, Bing, Yahoo!) in such a way that search engines can easily find you when customers are searching online. This method is highly targeted and cost effective. In a nutshell, you research what words and queries your customers use to search for companies like yours and then create your content around these keywords. Disadvantages: There is one main one: you’ll only reach people who use a search engine. As basic as this is it’s often forgotten. If you find that your target customer rarely spends time online then focusing on SEO as your marketing priority may not be in your best interests. However, in Canada, for example, 88.5% of the population uses the Internet and a high percentage of this group use search. Time Considerations: Search engine optimization can take several months before you start to see results. You’ll also need to keep monitoring results so you can tweak things as needed to build and maintain your ranking. Visual Thinkers can help you create an effective SEO strategy for your online marketing. We may even uncover areas you haven’t thought of. Online advertising refers to running ads on platforms like Facebook, Twitter, Google, and Bing. Advantages: Like SEO, online advertising is highly targeted. Facebook, for example, has a very high number of parameters you can use to target your prospects: almost any kind of information you enter into Facebook can be used in your advertising to target your customers. This is where knowing exactly who your customer is comes in handy, because it’ll let you get the most out of your marketing dollars. Where else can your online advertising appear? With Google AdWords, your advertising shows up in Google search results. However, other AdWords appear alongside yours, so while your audience with Google is much larger, you ad will appear at the same time as potential competitors’. With YouTube, your ads can show up in, preceding, and sometimes next to relevant videos. etc., again, offering a targeted audience for your product or service. The beauty of all of these platforms is that you control your advertising budget, too. Disadvantages: Online advertising has two major downsides: 1) It requires continuous spending to maintain visibility; once spending stops, so does the ad. 2) The keywords and size of audience you’re aiming for will dictate how much your ad space costs and/or how many people will see your ad. Time Considerations: Online advertising offers a lot of flexibility, and ads can be set up quickly. This agility means online advertising can change whenever your marketing plans change. Some platforms, e.g., LinkedIn and Facebook, allow you to create multiple ads in one campaign so you can test which ones are the most effective. Visual Thinkers can help you design your online advertising so that it perfectly matches your SEO strategy and fits in with your other marketing plans. This specifically refers to the myriad social platforms out there, including (but definitely not limited to) Facebook, LinkedIn, Twitter, Instagram, Tumblr, and more, and is in some ways a subset of online advertising. Advantages: Your potential audiences are already collected in the right place, and social media lets them engage with you directly. Used effectively and with some automation, social media can let you stay in contact with your customers. Disadvantages: Time (see below). After that, personalizing how you engage with your audiences on each platform. Time Considerations: Each platform has a different way of engaging with its users. If you’re unfamiliar with social media, learning the ins and outs of each platform can take a considerable amount of time. It’s kind of like being the new kid on the block: you see people talking to each other, but you don’t know the rules of engagement. Your website should be the cornerstone of your marketing. What was once just a digital sales brochure has now become a store front, often with a functioning store inside. Is the landmark people arrive at through other channels, including social media, online advertising, search results, print campaigns, and more. Acts as your sales representative 24/7 while working for a fraction of the cost of one. Supports your customers by answering their questions about your business. Automates business processes such as booking appointments and selling product. Displays social proof in the form of testimonials that can encourage buyers to engage with your business. Saves you and the customer time and hassle because of everything we’ve just listed. Disadvantages: There really aren’t any. If you don’t have a website these days, you don’t exist to your customers. Time Considerations: A well-designed website benefits from carefully deliberated plans and regular maintenance. Depending on the size of the website, an initial design can take several months, and maintenance should be done monthly. Maintaining your website involves cleaning up broken links, periodically improving the design so your business looks like it’s still open, and updating any outdated information. Remember: Tastes change, and websites are growing in function every year. An outdated website can mean missed-out business opportunities. Yes, we’re biased, but we do believe a professionally designed website can make a huge difference for your online image compared to using a DIY solution. Want something even more personalized to your audience? We can create apps that integrate directly into your website. Video may have killed the radio star, but it has certainly come alive in the digital world. Advantages: A great video provides a third dimension to your business, giving potential and existing customers information about who you are, what you do, why you do it, etc. in a format that engages the viewer. Video is also the top format for demonstrations, e.g., how fitness customers can properly perform a squat, or how a grocery store’s customers can bake a perfect, luscious chocolate cake for their next party. Disadvantages: Videography is not interactive and requires video playback to be useful. If you use audio, your viewers may not be able to listen if they’re somewhere in public (as they often are) and don’t have their earbuds plugged in. Time Considerations: Videos can be shot on the fly, but you need to carefully consider the quality and final impressions this will leave on your customers. Videos that are planned ahead may need a few months to coordinate script, tech, taping, editing, and all the in-betweens. But the pay-off can be well worth it. This centuries-old form of communication needs no introduction. It’s tried and true, even in the digital age. Disadvantages: The wrong photos are just as powerful as the right photos. Create lighting and angles that flatter the subject. Know how to best photograph objects and people so that each picture tells a remarkable story. Visual Thinkers can take bold, colourful photos that will brighten and strengthen your website, making it stand out in your customers’ eyes. No, print is not dead. Its use has changed, but it is still very much alive. Advantages: Innovative flyers and brochures can get people’s attention. Print can also be very helpful if your target demographic is older and has limited or no access to the Internet. Any calls to action that send lots of people to your website can also help build your website’s clout with search engines. Disadvantages: If you don’t have your target audience accurately defined, print advertising can become very expensive. Whereas you can see this within a few days of online advertising, you won’t know until after your print campaign has ended if it worked. We will help you create something innovative that will stick in the customer’s mind. Whether you want something big, bold, retro, illustrated…we’ll work with you to visually reflect your company at its best. What is the most important thing about your advertising? This will make or break you advertising, regardless of where you publish it or give it exposure. If the message doesn’t resonate with your audience, the campaign will flop. That’s why working with a professional marketing company can help: we’ll make sure that your message is both clear and effective, and we’ll use the best methods to help you spread it out to the world. 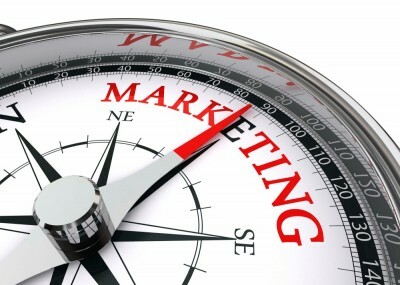 Please contact us and we would be happy to have a discussion about how to get your marketing working for you!